Ya, I’m gonna need one of those. Dope!!!!! Will support for sure. I’ll buy one right now! how much for one in XXL? Hell yea! How about on the sleeve? I kinda dig that. Thanks guys!! My cost on these is approx $12 a shirt, they're nice quality (made in USA), and then for shipping first-class we're looking at $4 inside the US and $14 outside the US (I know, wtf). So the total price for one shirt will be $16 inside the US and $26 outside the US, and there are shipping discounts for multiples. PayPal preferred but I will accommodate. In this first batch I got 3 sizes: M, L, XL - they run a tad small so lean towards getting one size bigger if you're borderline. I personally wear a Large and it's a relaxed fit but not loose or baggy, I'm 6' 170. Put me down for a Large my dude! 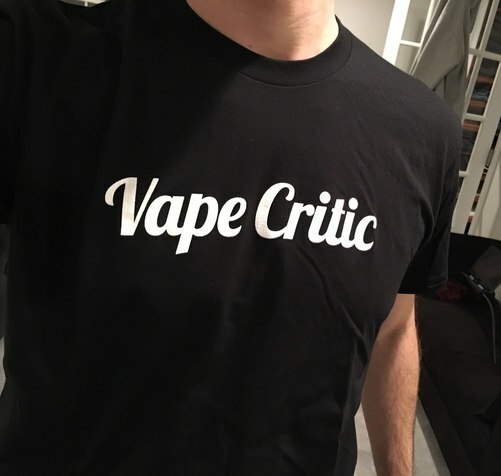 @VapeCritic if they run small I might need a XXXL. I’m 6‘4“ 260 pounds. You can’t beat the price, count me in I’m a definite! I'm sure @Rockytdogg needs one! I'll take one for free! I want a Large......Debit Card ? This wife beater will sell like hotcakes! I will order a large sized one. Thank you very much for getting this going, Bud! Got the first batch of 35 shirts in :ok: wanted to make sure they came out OK, I'm going to order more this weekend and also setup a way for you to order, please standby.